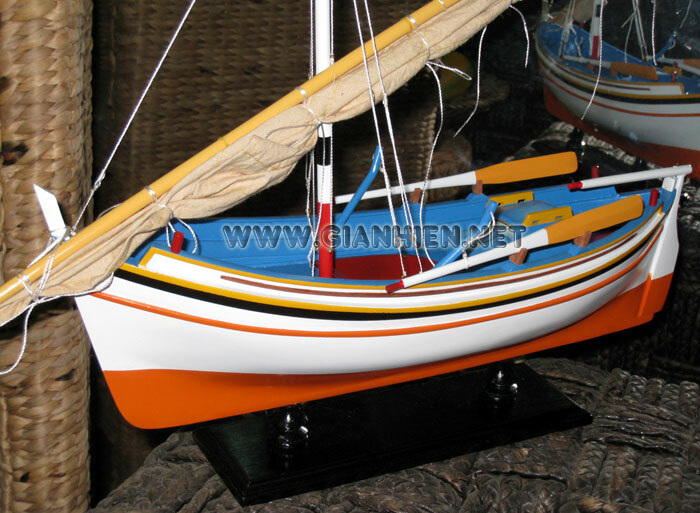 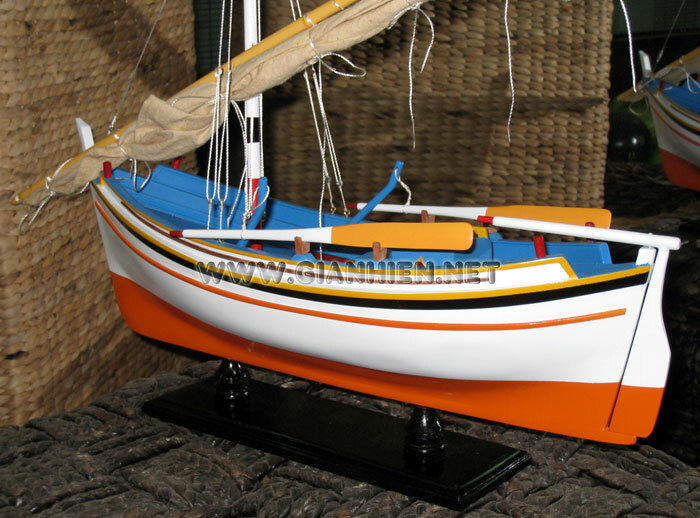 This traditional fishing model boat is hand-crafted from acacia wood with planks on frame construction and then the outside hull is painted as the real boat. 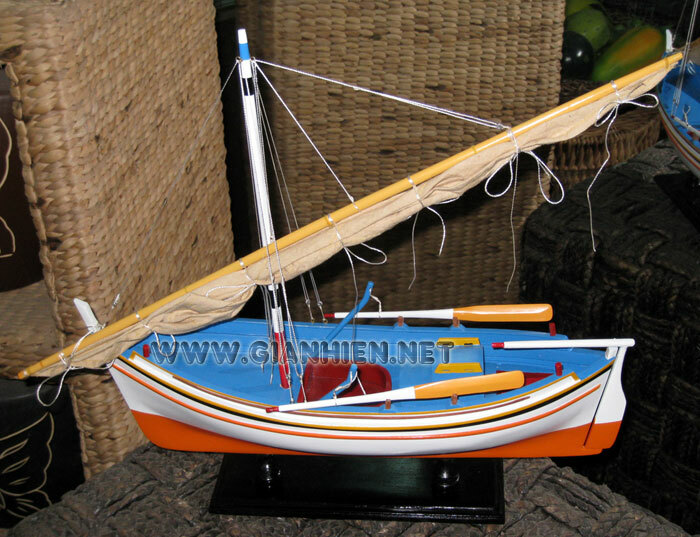 There are no plastic on our model. 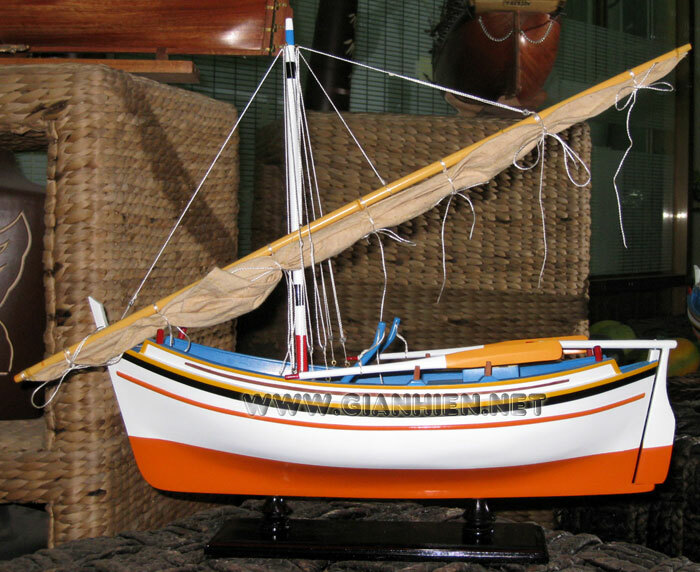 Model comes with the base.